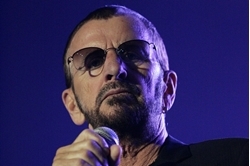 Google Plus Facebook Twitter Flag as irrelevant People Are Finally Recognizing Ringo Starr as One of Rock's Great Drummers . Beatles Radio: The Beatles, Solos, Covers, Birthdays, News The Fab 4 and More! For decades, he was a figure of fun — respectful fun, of course, but still. He was the most lovable of the lovable mop-tops, the most good-natured member of that most good-natured of bands, The Beatles. But of all the things you might think of Ringo Starr for — wry comic relief, cute off-key singing on “Yellow Submarine,” the ability to get along with everyone in a group that eventually, contentiously disintegrated — you might not think of him as a drummer, the same way you’d think of Keith Moon or Charlie Watts or Max Roach as a drummer.